The FOMC message is that it is still on course for hiking rates later this year. 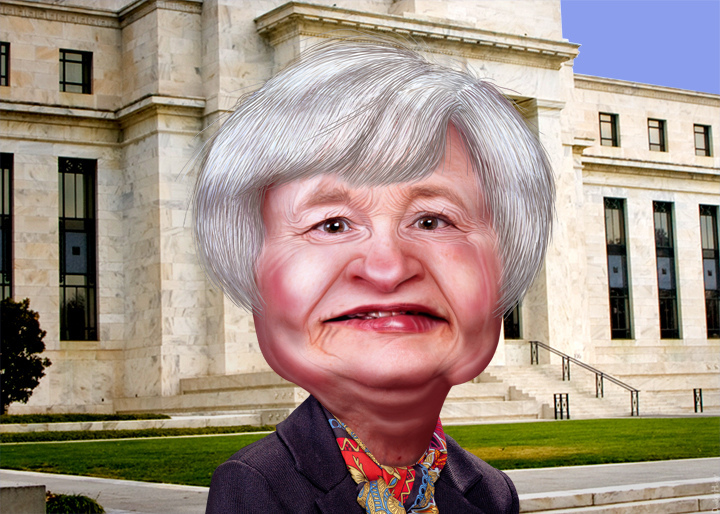 The Fed previously told us it would taper, and it did. 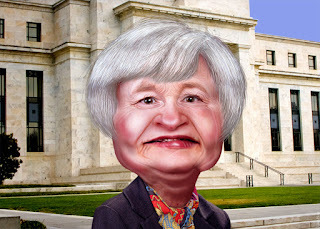 It told us that there would be a "considerable period between the end of QE and the first rate hike, and there is. It has said that it anticipates that the economic data will allow it to raise rates later this year. In March, the Fed's dot plots implied two rate hikes this year. Today's update retains this view. It does not necessarily mean a hike in September and December. However, it does seem to be a strong suggestion of a September move, barring a significant downside surprise in the upcoming data. Its economic assessment was mostly upbeat. It recognized that the economy is expanding "moderately" after nearly stagnating in Q1. It noted that the slack in the labor market is "diminished somewhat." The housing market and exports are still soft. Inflation is low, but survey-based measures of inflation expectations remain stable. The other parts of the statement were virtually unchanged. There were no dissents for the fourth consecutive meeting. Drilling into the dot-plots, the "appropriate pace of monetary policy firming" puts the Fed funds rate at 0.625% (median) at the end of this year. This is where it was in March. The year-end appropriate Fed funds rates for 2016 and 2017 were cut by 25 bp to 1.625% and 2.875% respectively. The long-run equilibrium rate was left unchanged at 3.75%, where it has been since last June. The GDP forecasts have been trimmed. This year central tendency, which is an average after a few high and low forecasts are excluded, is 1.8% to 2.0%, which is down from the 2.3%-2.7% March forecasts. A small change was seen for 2016 and 2017. While the Fed is accused of consistently being to optimistic on GDP, but not optimistic enough on the pace that unemployment has fallen. Still, these latest forecast shows and an unemployment rate of 5.2-5.3% this year, which is up from 5.0%-5.2% forecast in March. The 2016 and 2017 forecasts were left unchanged at 4.9%-5.1% for both years.